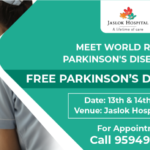 Parkinson’s disease is a complex and progressive Neuro disorder that’s different for everyone. Many of us have a misconception about Parkinson’s disease. 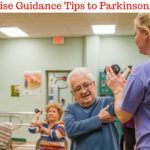 People with Parkinson’s disease need to live with Parkinson’s. We know that Parkinson’s disease is a progressive neurological is recognized as a movement disorder, because of a lack of dopamine. As a result, people with Parkinson’s take longer to do things than others. Today we will discuss the major role of the caregiver who faces many challenges equally with the Parkinson’s patient. The role of the caregiver may also change as the disease progresses. We don’t need to discuss the symptoms of Parkinson’s disease. Directly we will share tips to Caregiver. As we all know those common symptoms of Parkinson’s. Specially stiff limbs and rigidity affects Parkinson’s patient daily activity. It is very useful for a patient to meet with Physical Therapist (PT) and an Occupational Therapist (OT). Encourage PD people to do exercise facial muscles, Jaw and mouth. Sing or read out loud with big lip movements. Resistance training and aerobic exercise, free-hand exercise help to improve the ability to function, balance and ability to walk. Occupational Therapy is very useful to help Parkinson’s people to continue with their daily tasks such as Mobility, prevention of falls, bed mobility, posture and seating, eating and drinking, self-care routine, sit to stand transfers, domestic skills, fatigue management. An OT can guide the PD patient way to make normal activities easier and safer. OT aims at reducing the risk of falls and recommends adaptive devices such as handheld in the bathroom and banisters in the stairway. Getting out of chairs can be made easier with a cane or other adaptive device. OT can also guide the PD patient to conserve energy by grouping activities in certain locations, placing things needed – like reading materials, glasses, the phone – in an area close they sit. To know more about Voice exercise and Hand exercises for PD patients, click below. Some PD patient finds the swallowing difficulty sometimes. As a result, PD people don’t get proper nutrition. Improper diet may cause constipation, weight loss, weakness. Here caregiver needs to focus the proper diet of PD people. Give diet of whole grains, fruits, green vegetables to prevent constipation. PD patients also get Urinary infections, as a result, urinary retention and inadequate food intake. Encourage them to drink water 2.5 liters to 3 liters before evening. Don’t drink water at night time, or else the patient will not able to sleep due to urination. Foods with crumbs such as crackers or cakes – should be avoided from the diet as these may get caught in the throat. Caregivers should encourage patients to eat very small bites and to chew food thoroughly before swallowing. Sometimes we noticed that patient forget the technique of eating, such as chewing and close the mouth & swallowing it. Sipping a drink and keeping it in the mouth while preparing to swallow will moisten food. PD people need to intake multiple medications throughout the day at the proper timetable. The caregiver must focus the time of taking medication, so you can put alarms or reminders on the phone for medication. There are medicines which you need to take half an hour before food to get a proper response to the medicine. So, what your doctor gives the instruction for the medication, follow the correct way. Keeping track of the dosing schedule. After consuming medicine, need to notice the side effects of patients. Any changes in the patient’s physical, mental, or emotional well-being should be discussed with the doctor. When a patient takes Syndopa medicine, then the patient gets good on phase, so he/she should take advantage of the on-period to do the activities of daily living. Tremor can come in many different forms. Medication prescribed by your doctor can be helpful in managing these tremors. Apart from medicine, there is much non-pharmacological treatment which needs to apply to PD patients. Try reducing the intake of products containing caffeine – coffee, tea, colas. Maintaining the arms as close into the body as possible. The more proximal stability and input that is provided with an affected arm can minimize the tremors during functional activities. Make stabilize your arms on a surface when working. The best example, when eating, place elbows on the table to manage tremors. 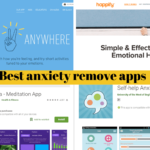 Manage stress, because stress, anxiety, frustration all contribute to PD people tremors. Learn stress management. Many of Parkinson’s people have communication challenges. They often are not able to use facial expressions to support their feelings or to speak clearly and/or quickly. So, the person can get inner frustration, which exacerbates the communication difficulties. Speak slowly and clearly with short sentences and simple ideas. Practice Voice exercises to improve voice tone. Be sensitive to the tone of your voice and do not telegraph impatience of frustration. Choose times when the meds are working to have important conversations. Give the patient time to respond. Show them you are engaged by (where appropriate) nodding your head, touching their arm or maintaining eye contact. Use hand and eye movement to reinforce your words. Ask for feedback if you are not able to read their facial expressions. Take notes of your conversations and record any observations. Consider bringing in a speech pathologist for assessment and suggestions for improving communication skills. 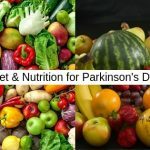 PD people have faced depression and anxiety due to the progression of symptoms of the Parkinson’s. It is a very common symptom of PD. Medications are a used tool to deal with. Some other tips for managing stress, depression. Being a caregiver, you should encourage them to exercise. Exercise helps lift a person’s energy and spirits. An exercise recommended by a PT & OT can reduce symptoms by keeping the muscle relax. Do meditation to relax the mind. Sit comfortably and easily – then close eyes – take a few deep breathe in and breathe out – relax every part of your body from mind, head, eyes, ears and other part of the body – then gradually focus on your breath (during concentrating on breath, you may think irrelevant topics, no problem, accept it, slowly focus on breathing.) At least spend time 20 minutes. Encourage the patient and family to join Parkinson’s support groups. After joining the Parkinson’s support group, help to feel less different. A person with Parkinson’s tends to be physically unstable, which means that injury from falls is common. Many falls can be prevented by the use of a cane or walker. A home safety inspection should be conducted and safety devices such as bathroom handholds should be installed. Floor coverings and furniture should enable a barrier-free route for walking. Shoes that fit well, are lightweight, support the foot and do not cause either slipping or too much friction are needed. The important part of caregiver, Caregiver needs to take care of themselves. The caregiver needs to make sure that they have time to relax. If required assistance then allocates responsibilities to other family members or hire someone to assist you in providing care. Make a schedule regular social activities and time for yourself. Go out with friends, family member and enjoy a physical activity independently or take classes that interest you. Don’t forget your own interests and your life outside of Parkinson’s disease. Many people feel that Parkinson’s people can not travel and enjoy retirement life. People with Parkinson’s can still travel, only part need to take few extra planning steps in order to make their trip enjoyable. If PD person is traveling by flight, then reach earlier than usual time to compensate for movement difficulties. Double check your medication to make sure if you need you extra. If you can’t bring extra medication, check to see if your pharmacy is available in the town where you’ll be traveling. Carry a small bag with extra medication and emergency phone numbers, including your physician’s. Plan extra time on your vacation for rest. How can I help manage my loved one’s care? Many patient’s caregivers asked this question to doctor how can I help manage my loved one’s care. Caregiver played an exclusive major role for Parkinson’s patient. 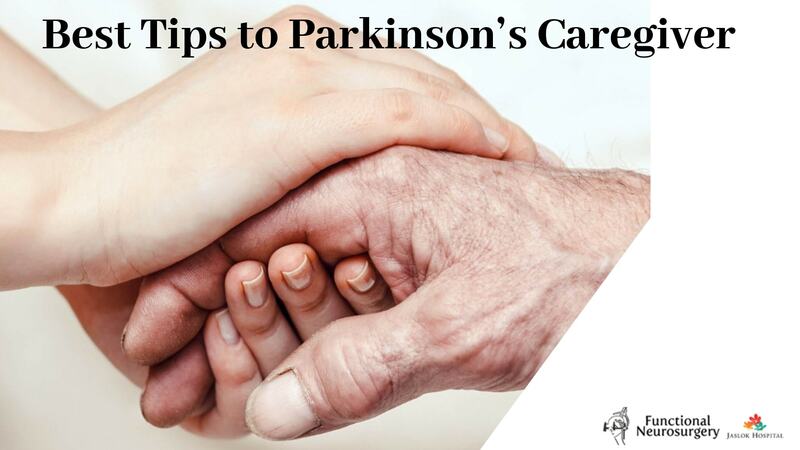 As a caregiver, you need to track all the details of Parkinson’s patient. Here are some tips to help. Stay organized: You keep the track of the doctor’s appointment. Note doctor and therapy appointments, start and stop dates of medicines and also notice the side effects of the medicine. Keep the reminder of a doctor visiting time and date, so you don’t miss it. Maintain a list of all doctor’s phone numbers and addresses in case an emergency. Keep a separate update list of all prescription medications, dosages, and instructions. Also, follow allergies or medication intolerance as well. You do not need any particular medical training to help with any. Caregivers provide emotional support of the Parkinson’s people. Keep in mind all the time that Parkinson’s is a progressive disorder, so medications and surgery can relief of symptoms, they do not stop the progression of the disease. Another problem that Depression is also very much a part of the disease, caregiver needs to identify the symptoms of depression & go for the right treatment. The PD patient feels very difficult verbal communication, so what the patient wants, but don’t get. Now we will discuss for better understanding your loved one. Ask your loved one to repeat what he or she has said, or ask him or her to speak slower or spell out the words that you did not understand. Beginning of the article only, we have discussed the importance of Caregiver. 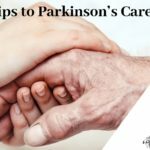 Caregiver helps Parkinson’s people for medication management, doctor’s appointments, keeping a consistent diet and exercise plan. If the caregiver can give moral support to PD people.